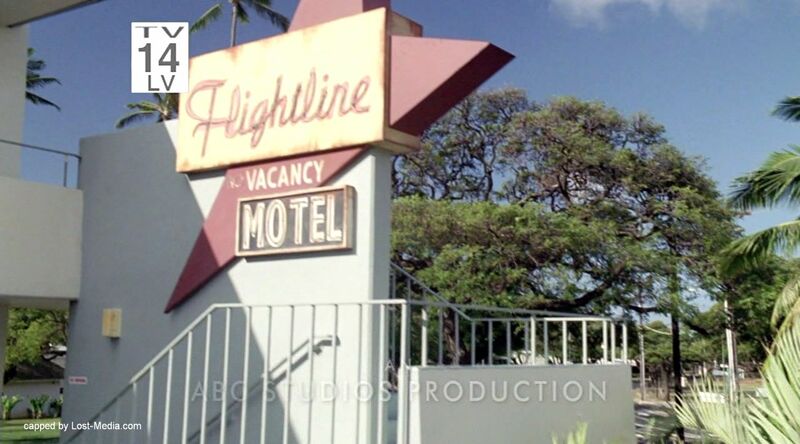 The “Flightline” motel where Locke met Anthony Cooper, and where Helen confronted them (“Lockdown,” Episode 2×17) is the Hale Hana apartment complex off Kapahulu Avenue (3410 Leahi Ave.). 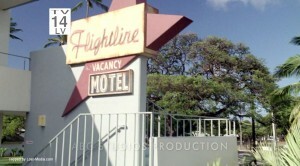 The location resurfaced in the flash-sideways, as Hurley went to retrieve Charlie for a concert (“The End,” Ep. 6×17). Image copyright ABC Studios. 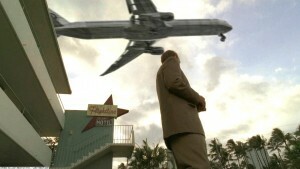 Courtesy Lost-Media.com. "LOST" Filming Locations in Hawaii.